A long post, but I hope you'll bear with me. This story freaked me out. In fact, I'm reminded of the first line Vincent Bugliosi wrote in his book Helter-Skelter, but I think it's a fitting description for Joyce Carol Oates' short story as well: "The story in which you are about to read will scare the hell out of you." In this fascinating collection of critical essays, Joyce Carol Oates' famous short story Where Are You Going, Where Have You Been, is discussed, argued and analyzed. If you've not read it, I highly recommend you do. I didn't realize I had read it years ago until a new-to-me blogger at Adventures in Borkdom reviewed it for the RIP Challenge, and it got me thinking about it. It was with a Twitter conversation from Nicole at Linus's Blanket that finally pushed me over the edge to download it. For instance, Walter Sullivan praises her skill by noting 'horror resides in the transformation of what we know best, the intimate and comfortable details of our lives made suddenly threatening.' Although he does not identify it as such, Sullivan's comment aptly describes a classic instance of a grotesque intrusion: a familiar world suddenly appears alien. It seems to be what Oates does best: Take our comfortable world and shift it to reflect the view back like a mirror. Everything seems to be the same, but something is a little bit off. It's the early 1960s and Connie is fifteen-years-old. The prettier of the two daughters in the family, her mother doesn't approve of the precocious Connie, always looking at herself in the mirror. She's pretty sure her mother prefers her, though, over her older sister June, who works at the library and still lives at home. Sunday begins like any other day since they don't go to church, but with a boring barbecue to attend with her family, Connie decides to stay home, wash her hair and laze around her room, thinking of romance and boys and listening to rock and roll. With her family away and Connie alone in the house, it becomes a dreamy afternoon. Things take quite a different turn, however, when a car pulls up the driveway driven by a man she walked past the prior evening at the drive-in. His name is Arnold Friend and there's something about him that doesn't seem right. Stepping out of the gold-painted car awkwardly, he looks older but claims to be around her age. It looks like he's wearing make-up but forgot to finish putting it on his neck, so the stark contrast appears as though he's wearing a mask. The passenger in the car never acknowledges her and only continues to listen to the same young rock and roll music she has on in the house, but when she takes a closer look from the kitchen screen door, even he is different. In fact, he has the face of a "forty-year-old baby," which is extremely unnerving. Arnold stands by the car, propping himself up or holds the door, as though if he didn't, he might fall. His boots stick out at odd angles, which hint at the possibility of rags stuffed into them so he can stand on it to appear taller. Arnold Friend wants Connie to get into the car and go for a drive with him. While initially exciting for Connie, it becomes obvious of his more violent intentions as the conversation continues. Instead, Connie stays behind her screen door, but he makes it clear he will never come inside. He casually explains that she will make the choice to come outside eventually, and when she does, she will come to him. He'll teach her about love, he says. It sounds different to Connie, though, and she doesn't like it, the air thick with fear and impending violence, nowhere near the romantic dreams she had before he arrived. She knows it's all wrong, that the way he stands and the fact that he's got make-up on is all a disguise. There is a far more disturbing element to Arnold Friend underneath it all and Connie is afraid. He is dangerous and she knows that she shouldn't leave the house. In all of the scary horror stories, this one struck me as one of the more frightening. I think it's because at only approximately twenty pages or so, its terror comes across in what is not said. There is an uneasy, uncomfortable atmosphere set with Arnold Friend's casual conversation, and incredible suspense was building as my fear for Connie grew. I was begging her to not leave the house, to not get into Arnold Friend's car. I intended to only read the short story but the critical essays were fascinating. They evaluate and analyze feminism, Connie's innocence, the symbolism of Arnold Friend, and rock and roll music. They provide more insight into the relevance of religious values and the slippery slope between good and evil. There is even the argument, which I tend to also believe, suggesting Arnold Friend may even be Satan, embodied in this frightening man who wears his disguise of make-up and can't quite seem to stand in his boots just right because they very well could be the hooves of the Devil. Joyce Carol Oates, if nothing else, is a master of horror and fright, but contrary to the Halloween and Friday the 13th movies, Oates is a sophisticated storyteller, drawing images of paralyzing fear with the agonizing ache of growing up into a very scary adult world. I highly recommend this and encourage you to read and re-read it. I listened to the audiobook version of A Fair Maiden by Joyce Carol Oates and wasn't the biggest fan of it. Now, I'm reconsidering going back and listening again, or reading it, since I've found that Introductions and Afterwords, along with critical essays of a book give me much more insight and I end up appreciating a story even more. After reading the various thoughts from other writers on Where Are You Going, Where Have You Been, I'm thinking A Fair Maiden may be worth another go. Included in this collection is the original Life magazine article that piqued Oates' interest and served as the idea for the characters. Oates read only part of it because she wanted the story to not be encumbered by the true events of the case. The article featured Charles "Smitty" Schmid of Tucson, Arizona, nicknamed by the Life article as the "Pied Piper of Tucson." Like Oates' character Arnold Friend, Schmid drove a wild gold-painted car and was a short man of 5'3" who stuffed his boots with cans and rags to give the impression he was much taller. Odd though he may be, according to the Life magazine article he still managed to generate a following of younger teenagers. Everyone knew he was different, but no one ever really complained about him. When it was uncovered that he had murdered three young women, it was not a revelation to the Tucson youth. In fact, they knew about it but no one wanted to be the one to turn him in, or make a big deal about it. While shocking that murder seemed to be more acceptable than tattling, it provided insight into the life of a kid at that time, struggling with acceptance of their peers, not ever wanting to "rock the boat." Of course, I'm not an expert on the psychological or sociological reasons why people do what they do, but being accepted by your peers is always a recurring motivating factor for every generation. Kids never want to stand out as the snitch, even though it's the right thing to do. His victims were only teenagers: Alleen Rowe, Gretchen and Wendy Fritz. They are much more important to remember as they never had a chance to live out their lives. Schmid was subsequently convicted of the murder of the three young women and was incarcerated up until his death by fellow inmates in the 1970s. He was apparently stabbed more than forty times and it took him twenty days to die. As I mentioned earlier, I read this years ago, and for some reason forgot about it until I started reading it last night. I also now recall the film adaptation, Smooth Talk, starring Treat Williams and Laura Dern. I don't remember everything but I do know that it was sufficiently disturbing, and I most especially remember Laura Dern perfectly representing Connie's contradictory sultry side and innocence. Treat Williams was oddly charming but frightening. Unfortunately, that's all I can say about the film since it's been probably more than fifteen years since I watched it. I'll need to rent that one soon. 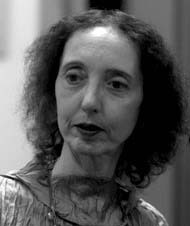 With over fifty novels to her name, Joyce Carol Oates is an American writer and winner of the National Book Award for Them (1969), and nominated for the Pulitzer prize for three novels: Black Water (1992), What I Lived For (1994), and Blonde (2000). She has been a Professor at Princeton University since 1978. My final review for the RIP Challenge. You can read more reviews from participants by clicking here. Wow this sounds creepy!! I like Joyce Catol Oates and hope to get to this someday but I'd need to be in the mood for a scary read! Natalie, this does sound frightening, and even more so because I have a teenage daughter that is starting to flex her independence a little bit. I need to read this collection, but I can't promise that it's not going to freak me out, a whole lot! This was a pretty impressive review and I enjoyed it. Thanks for sharing your thoughts with me. It's been years since I read this story, but JCO can be pretty amazing. The last of her story collections I read is I am No One You Know... some were so disturbing that I put the whole book aside. I've had mixed reaction to her novels. A few have been great and others I can't even remember the titles. I hope to read some of her older classic novels next year. I'm not normally a fan of short stories, but I think horror is one of the exceptions - I haven't been brave enough to read a full length horror book, but can just about cope with 20 pages! This one sounds really intriguing. I'm going to make a note of it and give it a try. I read this story for class a long time ago - I didn't remember it well but your post brought back a lot of thoughts! I really need to read more Joyce Carol Oates. Excellent review! I'm glad I helped in getting you to re-read this amazing story. I need to go buy this book now so that I can read the critical discussion! Thanks! Wow this sounds incredible and so so creepy. I'm going to see if I can get it on the Nook. Thanks! 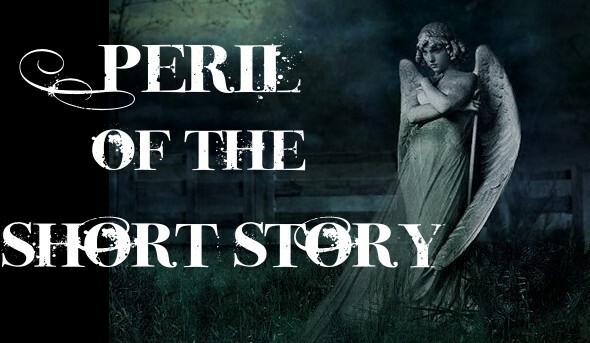 Great post ... this story sounds scarier than any of the books I read for the RIP Challenge. I read only one Oates book (We Were The Mulvaneys) but I plan to try another one ... and now I'm adding this story to the list. Oh wow, that story sounds so creepy. I think it's the makeup part, especially, that gets to me. I love the idea of reading critical essays along with a piece of literature -- cool book. Not one to read alone in the house late at night then! What you said about demon's hooves reminds me a little of a Scott Fitzgerald short story I read a many years ago. I'd quite like to read this. That was a sufficiently creepy story! Thank you for sharing the background on it too! Thanks for the review, I am so so getting this one! This one definitely sounds scary and not one I want to read when I am alone!